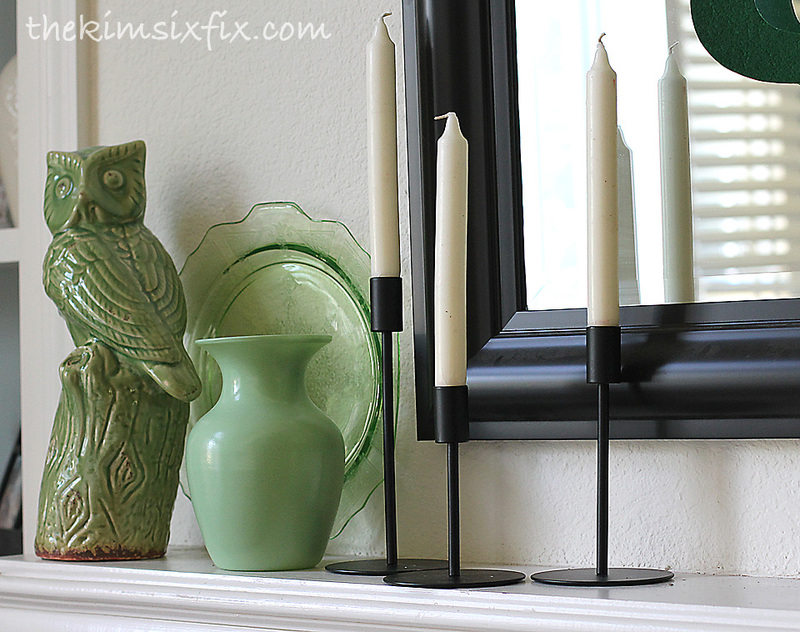 I decided to do minimal decorating for St. Patrick's Day this year since it falls so close to Easter. But I didn't want to do NOTHING. 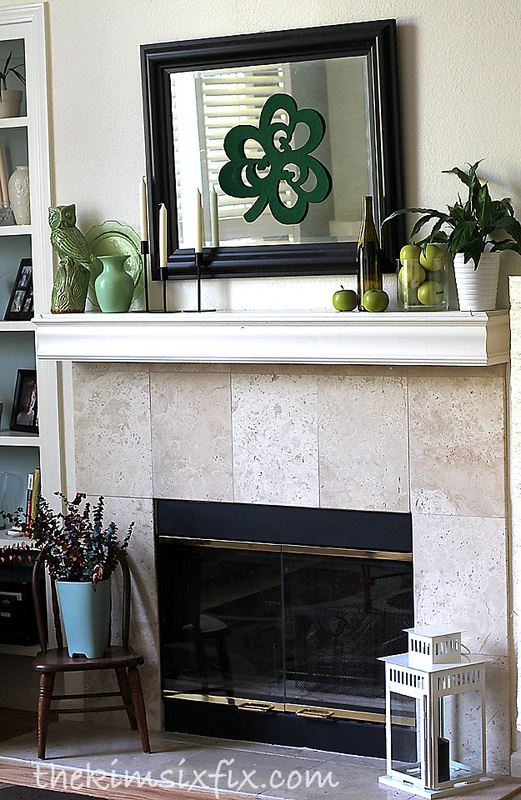 My kids love trying to trap the leprechaun, and I didn't want to pass it over completely, so I decided to go with a clean simple green mantle this year thrown together with stuff that was already on hand. 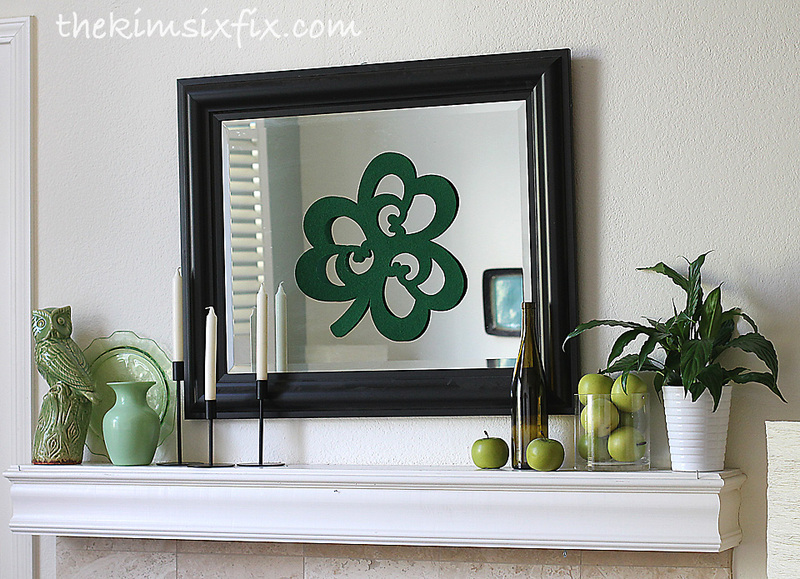 A simple, clean way to quickly decorate for St. Patrick's day without being awash in shamrocks and leprechauns! 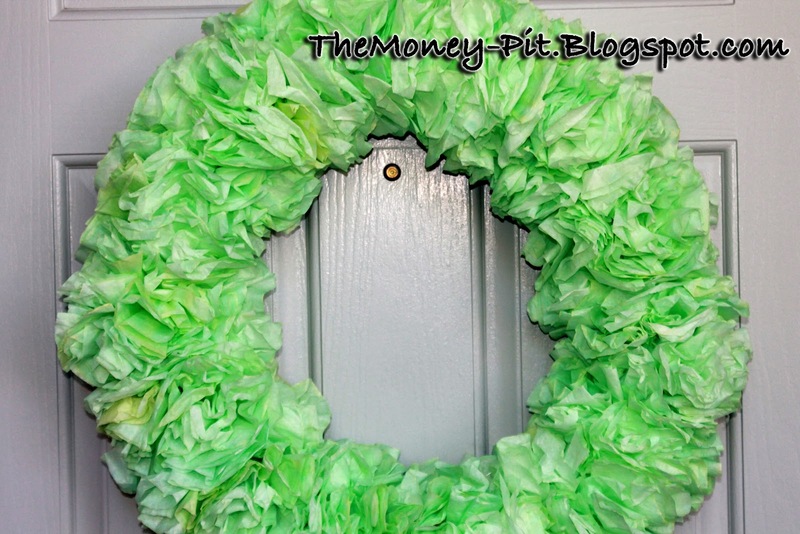 I confess, I also did hang my green coffee filter wreath on the door again this year. Waste not, want not! But seriously, I'm clearing off my mantle in my "redecorating" intense cleaning and stuff. I plan to copy you decor for decor. Or pretent to and just put green t-shirts up there or something. Cute! And perfect for the upcoming spring! 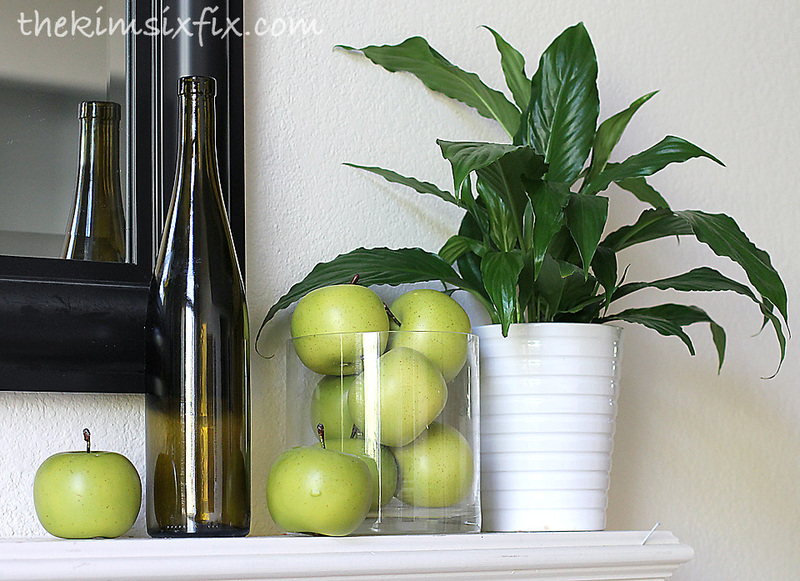 You've totally got me wanting to use apples on my mantle too!